On Wednesday June 29th, WagonWheel Presents… welcomes Matt Andersen to The Greystones. The ever popular Canadian Bluesman makes his fifth visit to Sheffield as part of his latest UK tour, which this time will include an appearance at the Glastonbury festival, and we look forward to another electrifying night of great music in his company. Matt has recently completed the recording of two new albums, a second with harmonica virtuoso Mike Stevens, and one at Levon Helm studios featuring a guest appearance from The Band’s Garth Hudson. He also found time to win himself the titles of “Entertainer of the Year” and “Acoustic Act of the Year” at the Maple Blues Awards. Support comes from Richard Kitson and Mat Wale. Advance tickets priced at £7 are available from http://www.wegottickets.com/event/110401 or over the bar at The Greystones. Doors open 7.45pm. Entry on the night will be £9. New Brunswick’s Matt Andersen is a larger than life personality whose showmanship has been earning him a fervent and steadfast audience wherever he graces the stage. Matt’s sprawling blues, roots and rock musical hybrid, allied to his sorrowing and soulful voice, has sparked a phenomenal buzz on Canada’s east coast. In the past few years, Matt has released an introductory EP along with two critically-acclaimed live fans’ favorites, the full length studio release “Second time around”, “Something In-between” which garnered two East Coast Music awards for Matt (Male Solo Artist of the Year and Blues Recording of the Year), “Piggyback” with harmonica virtuoso Mike Stevens and “Live at the Phoenix Theatre”. Along with a very busy touring schedule as a headliner at major festivals, clubs and theatres throughout North America and the UK, Matt has also shared the stage and toured with David “Honeyboy” Edwards, America, Randy Bachman, the late Bo Diddley, Little Feat and a host of others. On Jan 24, 2010 Matt won the 26th edition of the 2010 International Blues Challenge (IBC) in the birthplace of Rock N’ Roll and home of the blues, Memphis, TN. Matt was sponsored for this event by the Harvest Jazz & Blues Festival in Fredericton, NB in the solo/duo category. Blues musicians from all over the world including 39 states, 12 countries and 5 continents were chosen by their respected Blues societies to compete in venues on the world-famous Beale Street. Matt is the 1st Canadian ever to Win the IBC in it’s 26 years of inception. Matt is a very real and rare talent, acclaimed as one of Canada’s finest guitar players. Come and see what all the fuss is about. Richard Kitson could quite easily fall into the fabled “best kept secret” category. Since his first gig with short lived Barnsley punk band Strawberry Jack at the age of seventeen Kitson has established a strong reputation as a folk/blues guitarist and singer-songwriter. Like many solo acoustic acts Kitson began to establish his reputation in his local folk and acoustic clubs. 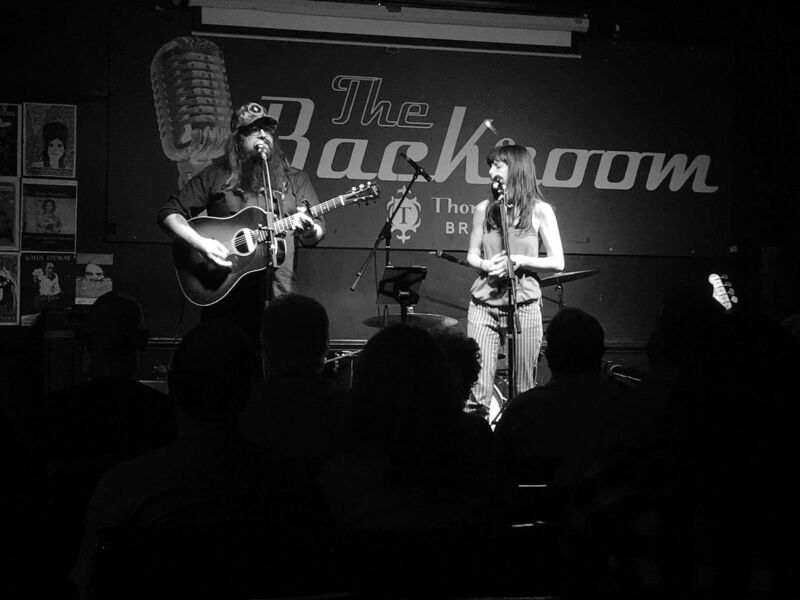 Lying somewhere between folk and blues, Richard’s acoustic songs tend to reflect upon experiences, places, and relationships. He uses his solo gigs as an opportunity to pay homage to the bluesmen who started it all and also to exercise his softer troubadour side with his fusion of country, delta blues and folk. Popular with Blues fans for his nods to the likes of Big Bill Broonzy and Blind Boy Fuller, Richard has a new album “Home and Dry” that sees him explore more of his folk and story telling side. Mat Wale has been writing, producing and recording with various of his own band projects since 2004. As well as releasing a string of albums and EPs he also produced the ‘Medieval Death Folk’ EP for Mexican Kids At Home which remains to this day their definitive work. In 2008 he toured the US and UK with experimental indie band ‘avanGaad’. In 2009 he provided the soundtrack for Welsh indie film ‘Big Font, Large Spacing’. Mat formed ‘The Rackets’ in late 2006. The band played neally 200 shows and recorded 4 EP’s together until their eventual demise in late 2009. More recently he’s been performing solo shows showcasing his country tinged songs of love and heartbreak.